Welcome to Bloom Day! 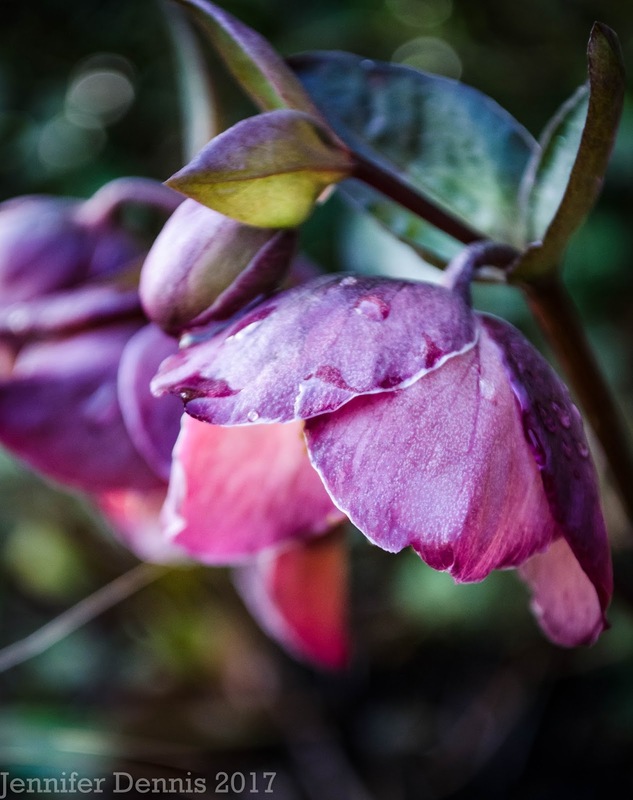 Join me on a walk about my gardens to see how spring is emerging in my neck of the woods. 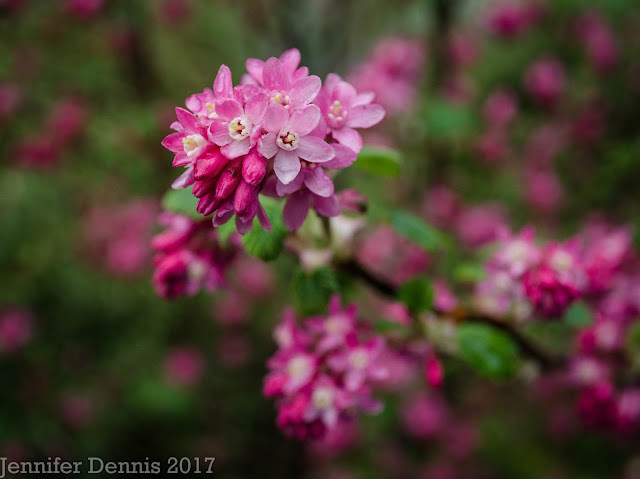 Compared to the past few years, spring feels late here in Northwest Oregon. And while it's been a seriously soggy Feb and March..the weather is moving into a more 'normal' springtime pattern. Early April saw the flush of flowering currants. 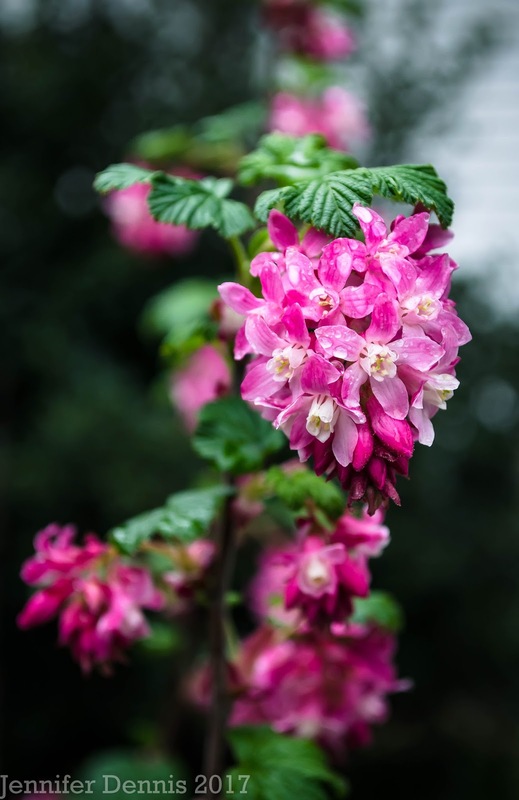 We have beautiful pink and red varities that dot the road sides and woodlands. The hummers love them. I might have purchased another one last month. I love their shape and size. Perfect for borders, along fence lines. 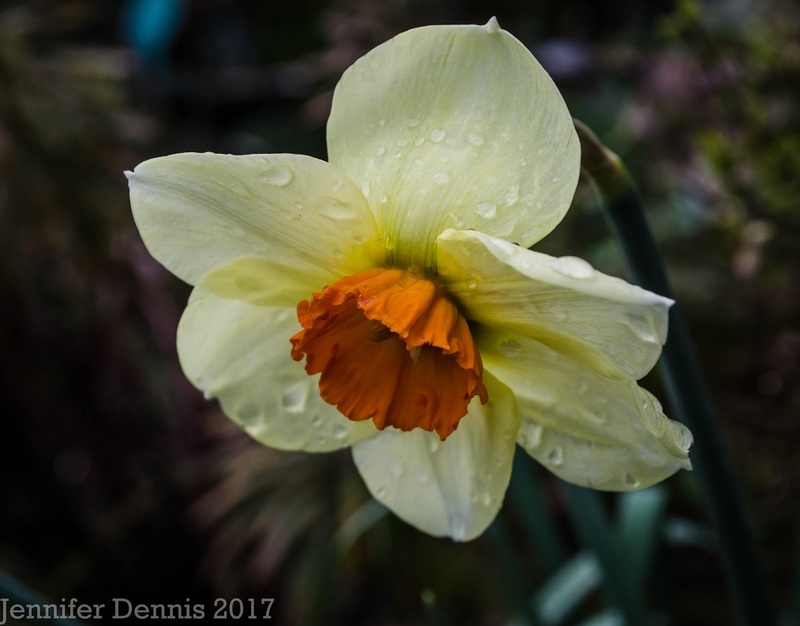 This little bloom is one of my favorites from my daffodils. It's the last of the daffodils to bloom in my gardens. 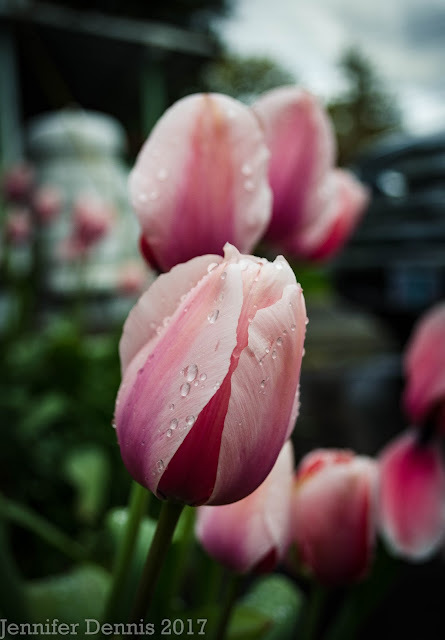 Pretty tulips blooming in containers. 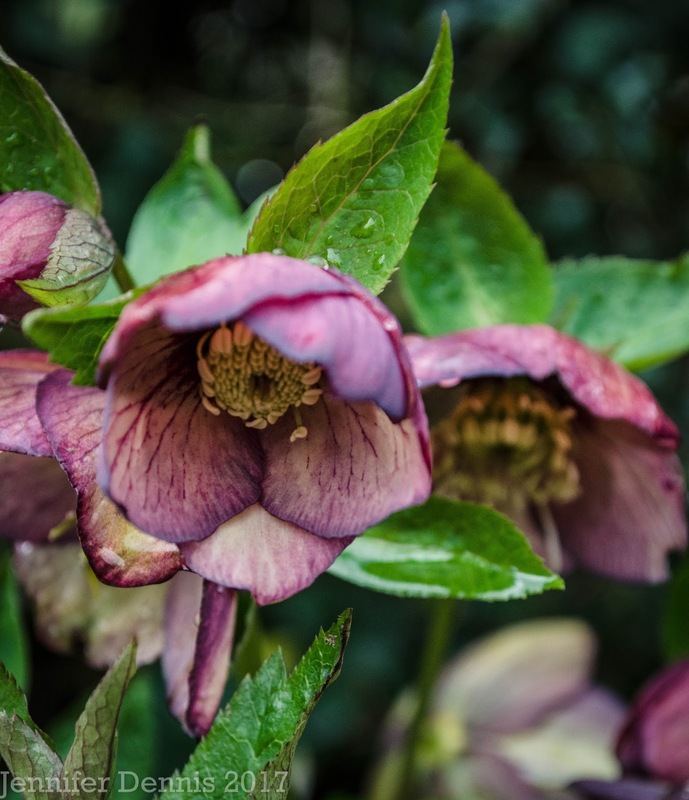 I have not been bold enough to put them in the ground as our soil is very heavy clay and I fear they would drown during the wet winter months. 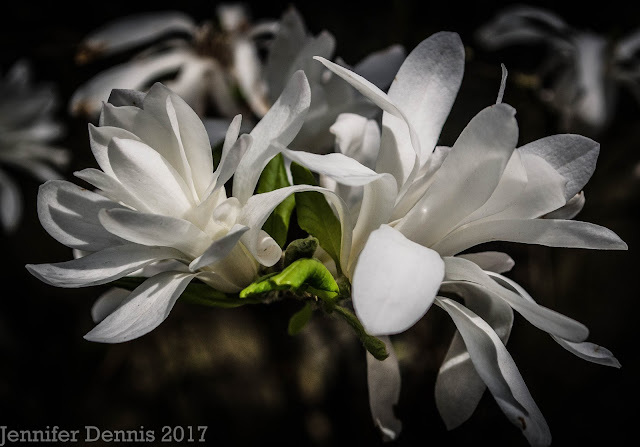 The gorgeous old Star magnolia bloomed a month later this year than last year..or the year before that. It timed it well though, we enjoyed a few days of no rain (and even in a row!) to see the old tree in all it's glory. A bloom...or foliage...lol. Either way, it's striking. 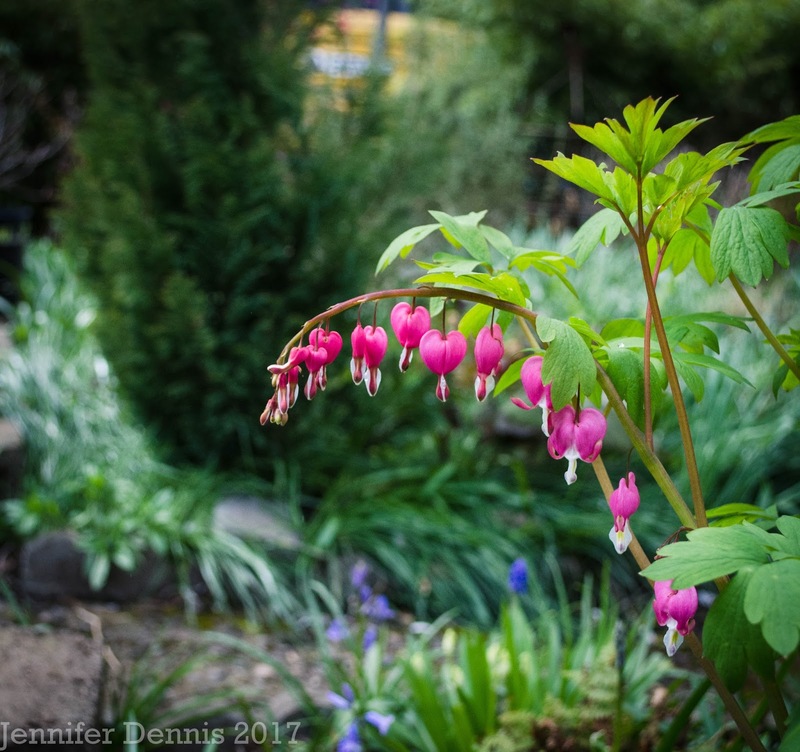 One of my absolute favorite perennials in spring are dicentra spectabilis or Lamprocapnos spectabilis. My camera cannot get enough. I caught a few pics when rare rays of sunshine came out. The hellebors continue to bloom. Aren't they amazing plants! 2+ months of blooms so far. 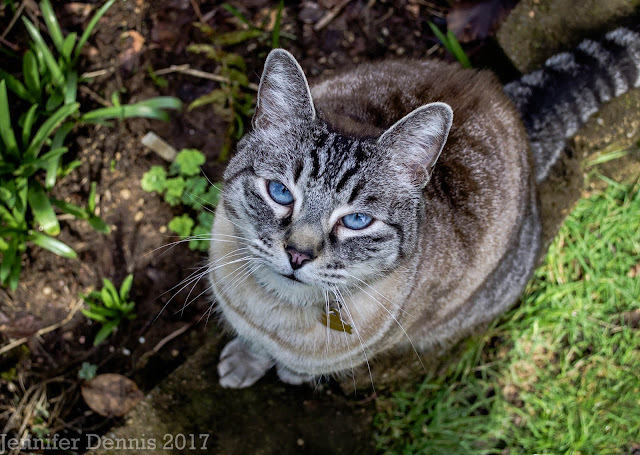 Silver cat is happy for spring. The days are getting warmer and he gets to sit out of the edge of the driveway greeting passerby's, hoping for a scratch. Happy Garden Blogger's Bloom Day! 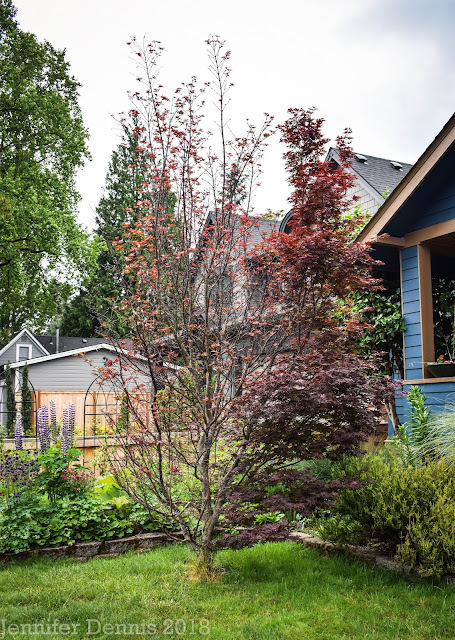 Visit Carol over at May Dreams Garden to join in with garden bloggers around the world on the 15th of the month and see what's blooming. Beautiful blooms and lovely cat! It's always amazing the different plants that people have in there garden. 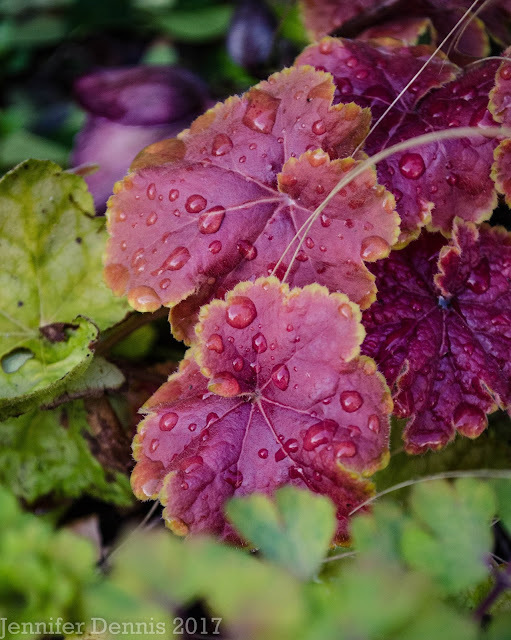 Despite you being in a colder area there are plants e.g. 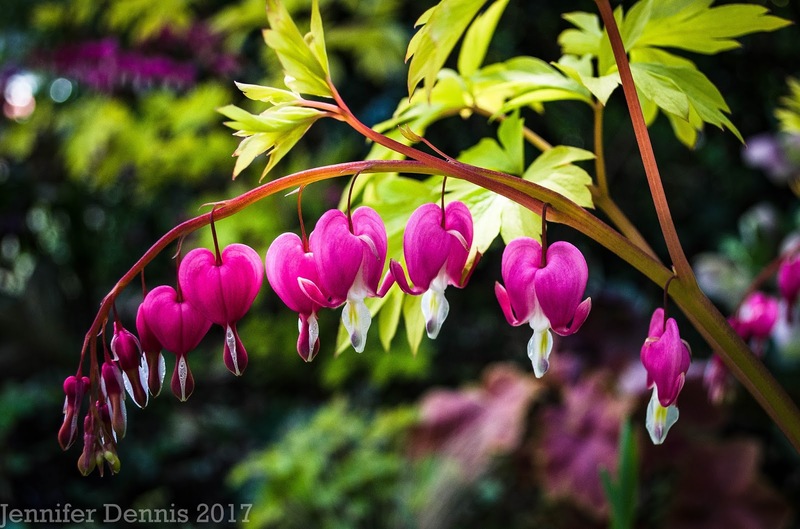 dicentra spectabilis that I would never risk! It's been quite dry here. 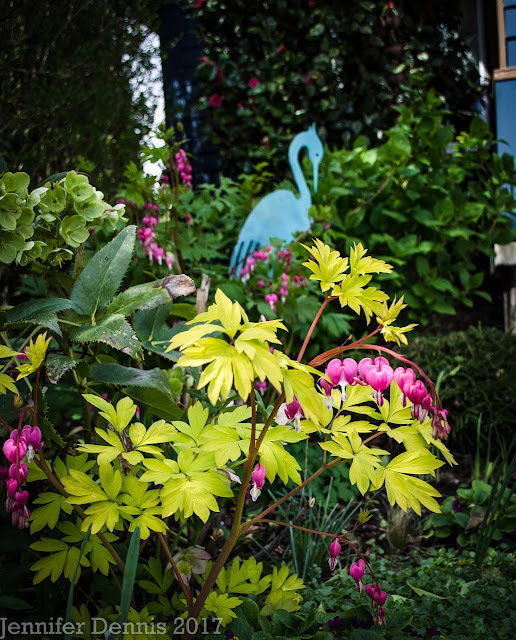 A dicentra will always be a dicey to me - why change. perfectly good name? The ribes is lovely. I love Dicentra 'Gold Heart' too! I think I'm growing four or five of them. I can't get used to the new name. Happy GBBD! Beautiful blooms and kitty. Happy GBBD.